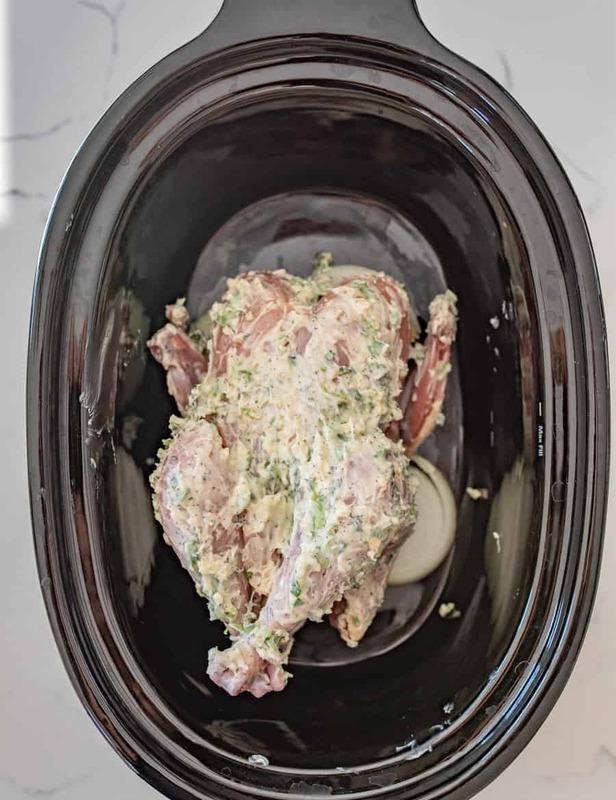 A simple way to cook whole chicken in the crock pot by using lots of fresh herbs and butter for an extra tender and delicious chicken with very little hands-on prep time. 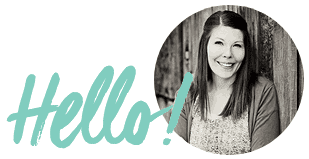 Long live all the slow cooker recipes! This whole chicken in the slow cooker is one of my favorite recipes because it comes out great, and you don’t have to spend a whole lot of time getting it ready. We grew chickens last fall and I use them with great care because when you are raising your own meat you know just how much time and energy goes into growing a product that is happy and healthy. 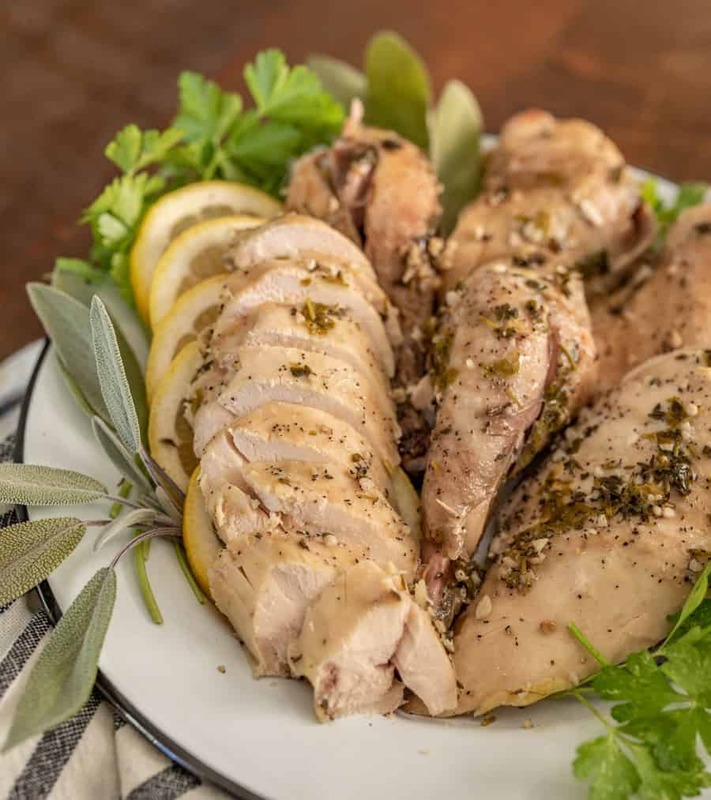 I love using this recipe to cook our home-grown chicken because it turns out delicious every time – no wasted meat or dried-out chicken here! I love covering the meat with butter, herbs, and garlic and then cooking it slow and low while I go about life. The extras add moisture and flavor to the meat and the drippings in the bottom of the slow cooker make for a delicious gravy (recipe follows). This is a great dish to add seasonal sides to, too! 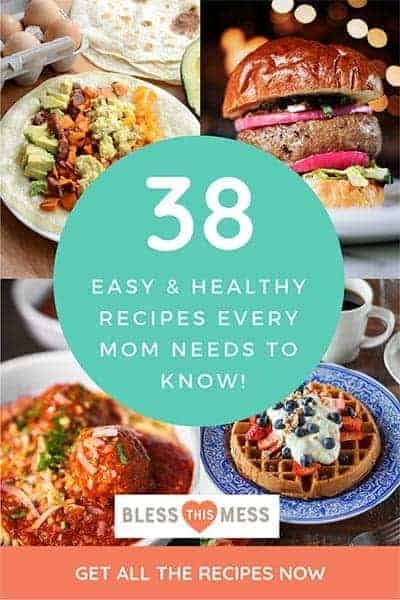 You can add squash, potatoes, rice, rolls, veggies, and just about anything else you like to make this a well-rounded meal. How do you serve a whole chicken? You can serve the chicken whole on a platter – it’s extra pretty with a few herbs around it – and then carve it on the table. Or you can cut the chicken up before serving. I like to remove the chicken leg quarters and then divide the thigh from the leg. Then I’ll remove the breast meat and slice it and serve all of the pieces on a platter. I remove the extra meat that’s left on the bird for a second meal like Classic Chicken Noodle Soup and then I’ll save the bones to make chicken stock. I can normally get 2 meals and a few quarts of stock from one chicken and nothing gets wasted. The juice that is left in the bottom of the slow cooker is delicious. Strain it and serve it “au jus” style or add it to a sauce pan to make a gravy. Add 3 tablespoons cold water and 1 tablespoon corn starch to a small bowl and whisk together to make a slurry. Bring the juice to a simmer and add the cornstarch slurry and stir until thickened, making a simple gravy to serve with the chicken or over mashed potatoes in addition to the meal. Slow and low is the way to go with this recipe. 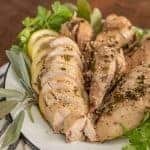 I found when I cooked the chicken on high the butter and herbs melted off the outside too quickly and didn’t have enough time to make an impact on the flavor of the meat. There are so many combinations of herbs that you can use. Rosemary, sage, parsley, and thyme are great places to start. The juice that makes it to the bottom of the slow cooker is very flavorful! I recommend making gravy out of it to serve with the chicken. Gravy instructions are included in the body of this post. An instant-read thermometer takes all the guess work out of when the chicken is cooked. I highly recommend getting one if you haven’t already (this one is only about $10 and it works great). 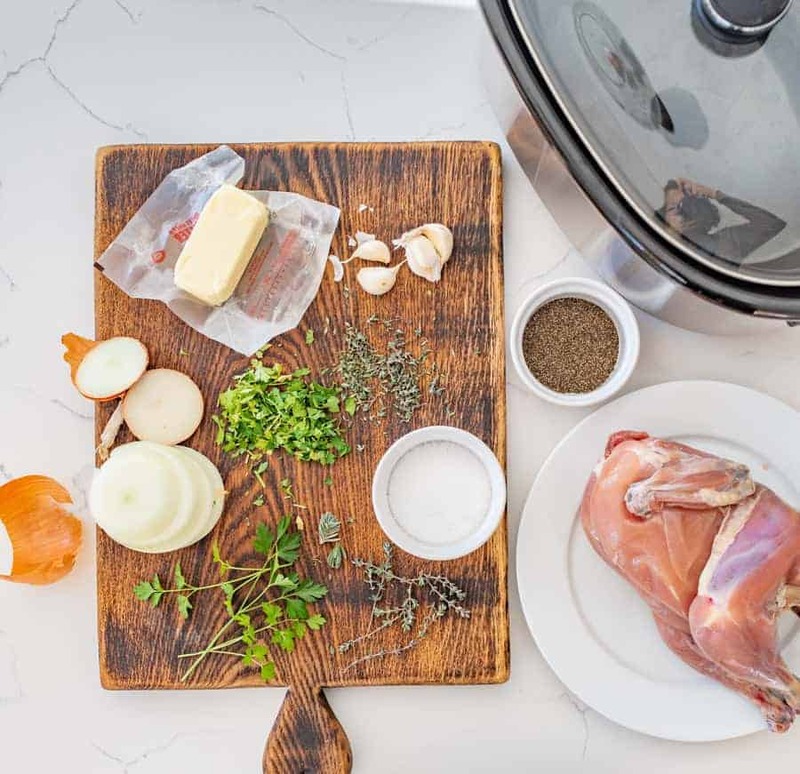 An easy way to cook whole chicken in the crock pot! 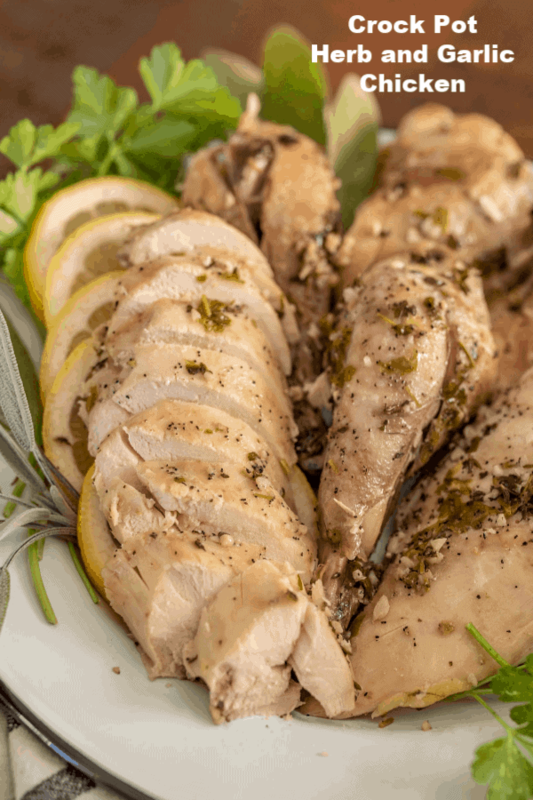 Lots of fresh herbs and butter make a tender and delicious chicken with very little hands on prep time. Prepare the chicken by tying the legs together with cotton twine. In a small bowl, mix together the butter, herbs, garlic, salt, and pepper until well combined. Coat the chicken all over with the butter and herb mixture. Place the chicken on top of the onion in your slow cooker – avoid letting the chicken touch the sides of the slow cooker if you can. Place the lid on your slow cooker and cook on low for 6-8 hours or until an instant-read thermometer inserted into the thickest part of the breast registers 165 degrees F.
Turn off the slow cooker, and remove the lid. Let the chicken rest for 10 minutes before removing it from the slow cooker. Place the whole chicken on a serving platter or cut in into pieces before serving. Serve right away while still hot. Slow and low is the way to go with this recipe. 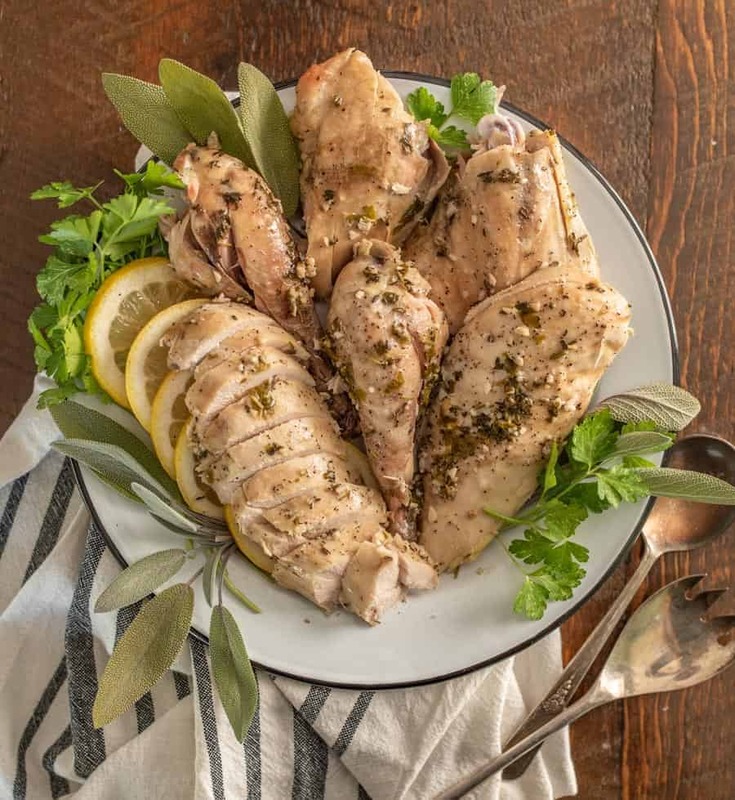 I found when I cooked the chicken on high, the butter and herbs melted off the outside too quickly and didn’t have enough time to make an impact on the flavor of the meat. There are so many combinations of herbs that you can use. Rosemary, sage, parsley, and/or thyme are great places to start. There you have it- one super easy recipe for great chicken that you just throw in the slow cooker, set it, and forget it! That’s my kind of recipe friends. Just pair it with your favorite go-to sides and you’ll have an easy dinner on the table in no time.